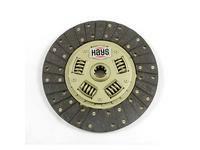 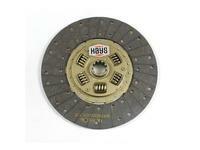 Hays Street/Strip Clutch Discs is a performance clutch disc that is engineered specifically for high horsepower street vehicles in addition to occasional dragstrip use. Hays Street/Strip Clutch Discs are manufactured with premium quality, high burst strength woven lining to withstand heat and higher engine RPM, and riveted to a Marcel* backing and heavy-duty sprung hub assembly to allow smooth engagement and steady torque transfer without chatter. 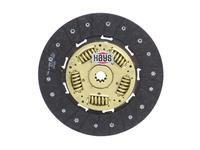 * Marcel - A crimped plate between the friction materials that acts as a shock absorber.